All New Birthday Cake Nui Cookies on Sale Today!!! Nui low sugar keto snack Birthday Cake cookies go on sale today! HOORAY!!!! Birthday Cakes are associated with wonderful memories: being surronded by loved ones, making wishes, presents. 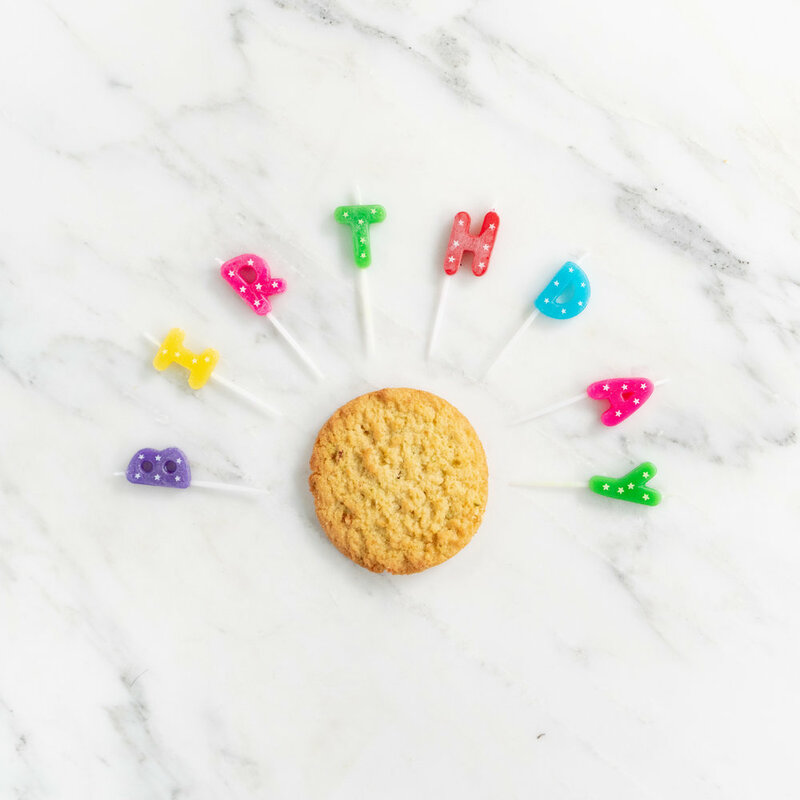 Nui low sugar keto snack Birthday Cake cookies are a perfect way to experience all of the nostalgia and joy associated with birthday cake with out any of the carbs, sugar, or the inevitable belly ache that comes with too much cake. 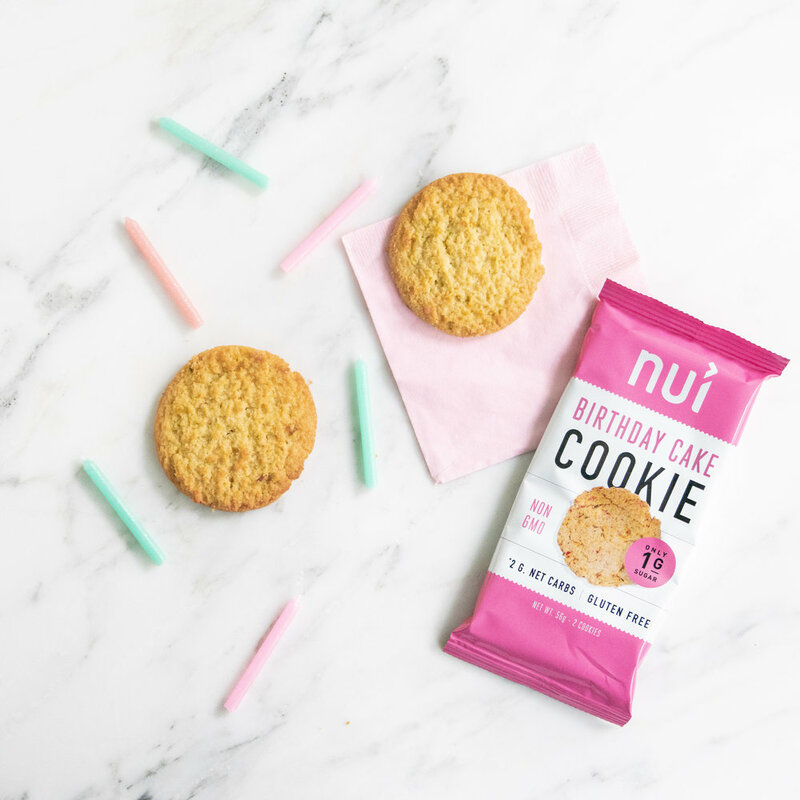 Nui low sugar keto snack Birthday Cake cookies are made with natural ingedients, keto-friendly sprinkles, and only 1 gram of sugar. I love the texture of almond flour, so these is a extra treat for me. YEP! I said Keto-friendly Sprinkles! These Nui sprinkles are totally natural, and made with our secret blend of Spirulina, Turmeric and Beet Powder. Yum! 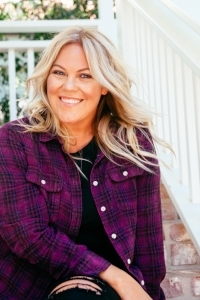 Nui low sugar keto snack Birthday Cake cookies go on sale today and are sure to sell out quickly, so don't forget to order your keto cookies ASAP! I can't wait to dip these butter Keto cookies into Keto Buttercream Frosting! Sprinkle Nui Cookies on This KEto Birthday Cake! Get 10% off of your Nui's Birthday Cake Keto Cookies when you use the code KETOINTHECITY at checkout. Don't Wait! These Keto Cookies sell out fast! Get 10% off Your Order of Nui Cookies!